Deadly Premonition rolls open world gameplay, horror and even comedy into a single ball of interesting that is borderline insane. The game originally released on Xbox 360 in 2010 and saw a Director’s Cut for the PlayStation 3 and Windows released in 2013. Deadly Premonition is one of those games that will have you pausing the game often as you simply try to absorb what just happened. This isn’t necessarily a bad thing though, the extreme number of strange encounters, twisted dialogue and simply insane moments is what Deadly Premonition is all about. In the game players take control of Francis York Morgan as he investigates a strange murder in a small town. The murder is strikingly similar to those that have been taking place in other areas and it’s time to reach the bottom of the mystery. As players progress through the main storyline several other murders will take place which brings York a step closer to the eerie truth while also bringing up memories from his buried past. 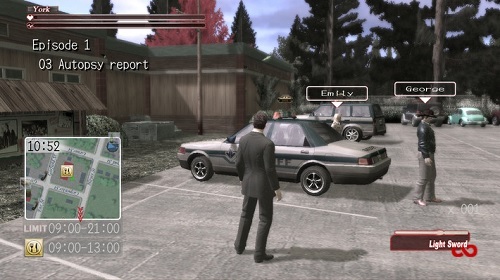 Deadly Premonition offers a very impressive open world environment that feels extremely realistic and lets players tackle the games story in a highly non-linear fashion. You are completely free to explore the world as you wish, talk to characters for information and complete side events. Every character runs on their own time schedule and catching them at the right time is often key to learning certain information. Cars also feature heavily and are a great alternative to walking around the game world provided you can pay to put fuel in them and repair any damage they take. The realism doesn’t stop there though with players also having to look after York with sleep, food and even changing his clothes regularly so feels fresh. 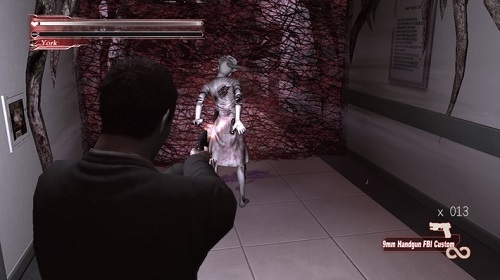 Deadly Premonition is unique in all the right ways, if you go in comparing it to top titles you’ll be severely disappointed but if you put graphics and polish aside you’ll be drawn into this realistic and strange game. Very realistic game world with character time schedules, day/night cycle and even weather. Combat the mysterious threat with melee and ranged weapons. An impressive story to follow. Look after your car and York otherwise your performance will suffer. Deadly Premonition is truly a fine example of a game you will either HATE with an intense passion, or LOVE with extensive admiration. I fall in the latter category. I just love DP with every fiber of my being and recommend it every chance I get.